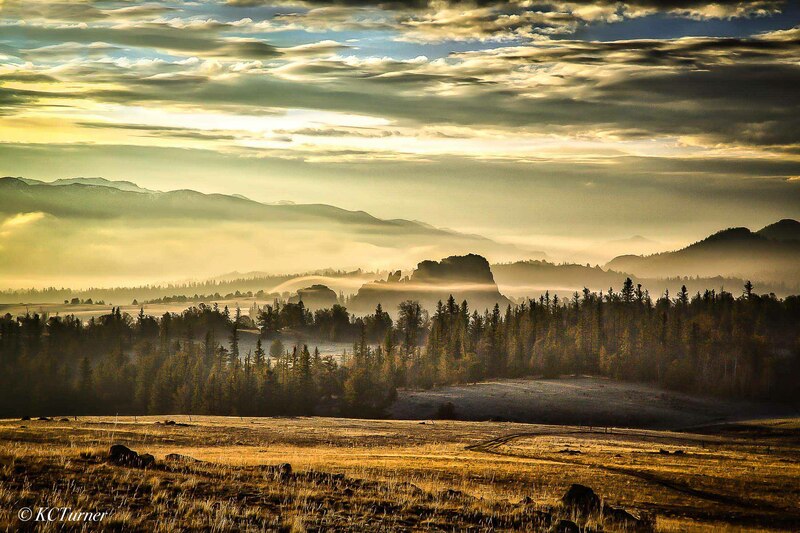 Five thirty in the morning in the north of South Park Colorado, as the sun rose over a mist covered valley, the landscape started to take on a golden expressionistic tone as it begged to be photographed. I obliged! Photo © copyright by K.C. Turner.